My first visit & post to your forum. I did a search on the Revolution Reflex & saw this topic. I have just acquired one of these kites. Got to the post above & was agreeing with the comment & realized it was me being quoted. Thought it must be a sign to join your forum. Here's an image of the PB 4-8 plastered to the Cruze by light wind. 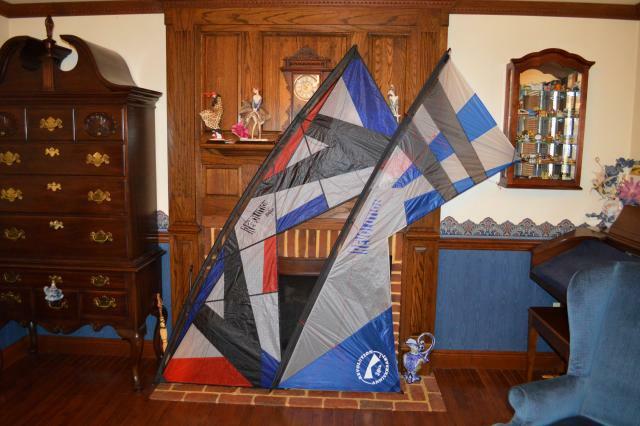 Image of Reflex & 20th Anniversary 1.5 "half B"
Nice kites! Mike is right, our forum participation can vary quite a bit, and it is pretty quiet right now. Glad you are here. We'll probably get a bit more active heading into the fall.... I'm still distracted by that four letter word.. .WORK.